Reading eBooks on iPhone or other portable devices have become a popular tendency in the daily life. You can download or purchase the most popular novels from iBook store and read them on your iPhone while you're on the way to work or back to home; Or you can sync lots of PDF materials about your latest thesis, so that you can review them anytime you like... Obviously, you have saved lots of books on your iPhone and now you wish to backup these sync or purchased iPhone books to personal PC? We know that transferring books from PC to iPhone is a no-brainer task because all you do is drag and drop books from your local disk to the iBooks in iTunes when your iPhone is connected. 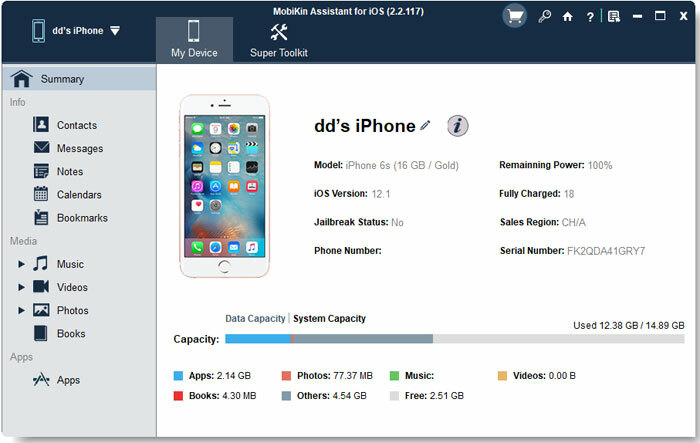 However, since the iTunes is a one-way tool on your computer, things could be different when you're planning to export books from iPhone 6 Plus, iPhone 6 or iPhone 5S/5/4S to computer. Here, you may need to turn to a 3rd-party program to help you reach the goal. 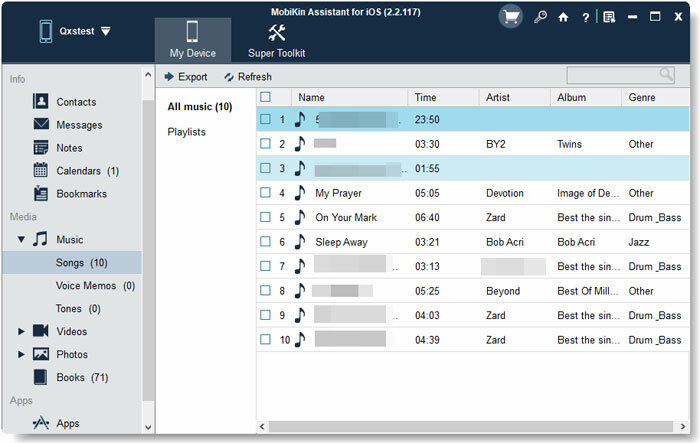 MobiKin Assistant for iOS & Assistant for iOS (Mac Version) could be the best iPhone Books Transfer program for Windows and Mac users. With it, you can easily and quickly export all books like audiobooks, PDF or ePub files, etc. on iPhone devices to desktop computer or Mac without losing. After that, you can load or share these books in any other devices as you like. What's more, this program also enables users to transfer files like music, photos, movies, playlist, voice memos, etc. to PC from all models of iPhone, iPad and iPod devices. Note: If you're an Android user and wish to backup your Android books to computer, you can try MobiKin Assistant for Android software by clicking the link. How to Transfer PDF or ePub eBooks from iPhone 6/5S/5/4S to Computer? As it is known to all that books from iPhone are always in the format of PDF or ePub, so as the best iPhone Book Transfer program, MobiKin can provide users with the best transferring experience on your personal computer. Now, just click the below icon to install the program on your computer and then follow the below steps to start your transferring journey. Please note that iTunes must already be installed on your computer for running this program. But you do not have to run iTunes. If the program is failed to detect your device at the first time, don't worry, just click "Refresh" button to detect it one more time. Files on your iPhone will be managed in the form of folder in the program. Go through them and click "Books" or "Audiobooks" to see the detailed book list in the program. Mark the books you wish to export by ticking the box besides the file easily. When all your needed files have been selected, you can click "Export" button on the top menu to copy iPhone books to computer without losing.